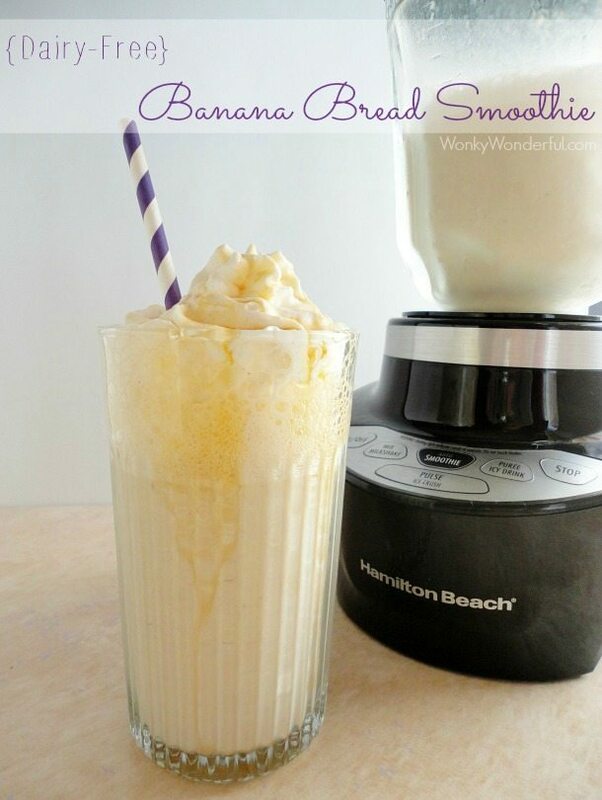 If you love the flavors of Banana Bread but want to keep it healthy, this Dairy Free Smoothie Recipe is for you! I am a Hamilton Beach Brand Ambassador, however, all opinions are 100%mine. We drink a lot of smoothies at my house! I have been making healthy smoothies for my daughter from the first moment that she could sip through a straw. I reached out to Hamilton Beach because I love my HB Ice Cream Maker so much! I connected with them just in time for #Smoovember. The entire month of November is dedicated to smoothies promoting the Smoothie Smart Blender and the Single Serve Personal Blender. 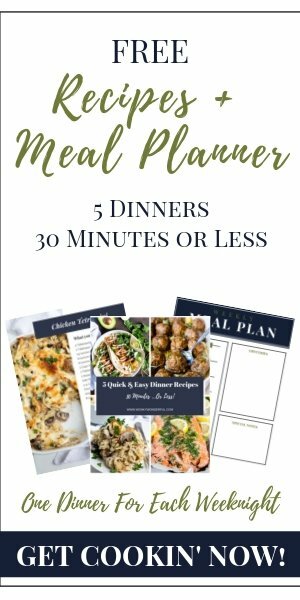 Hamilton Beach sent me two blenders to try out and they are also supplying two blenders for the giveaway below! And boy did I put this Smoothie Smart Blender to the test! I have been using this blender almost daily . . . it is my new kitchen bestie! 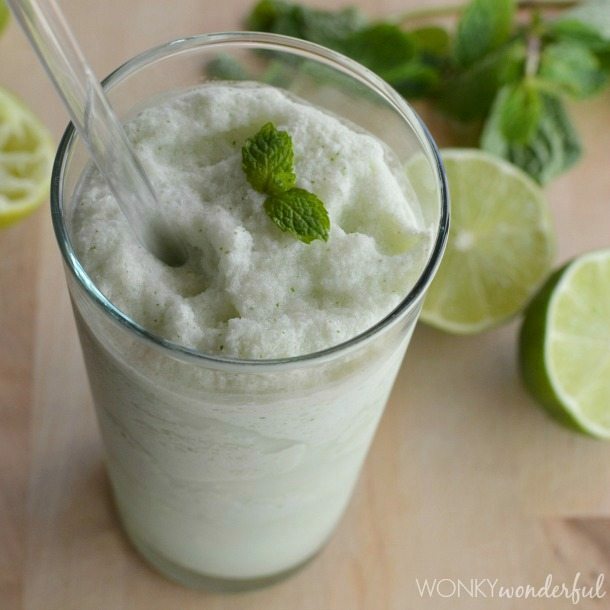 This Smoothie Smart Blender crushes ice like a Beast! It also has an Auto-Smoothie button that is designed to create the perfect blending action. It pulses and changes speeds for 45 seconds then automatically shuts off at the end of the cycle. My favorite thing about the Smoothie Smart Blender is the no-mess pour spout . . . I really need that! I was also impressed with the Single Serve Personal Blender. It crushes ice without a problem and is perfect for a rushed morning coffee or breakfast smoothie on the go. Blend your frozen coffee or smoothie, pop on the travel lid and run out the door to start your day! I usually add Greek yogurt to my smoothies for protein and creaminess. But, I decided that it was time to create a Dairy Free Smoothie Recipe. 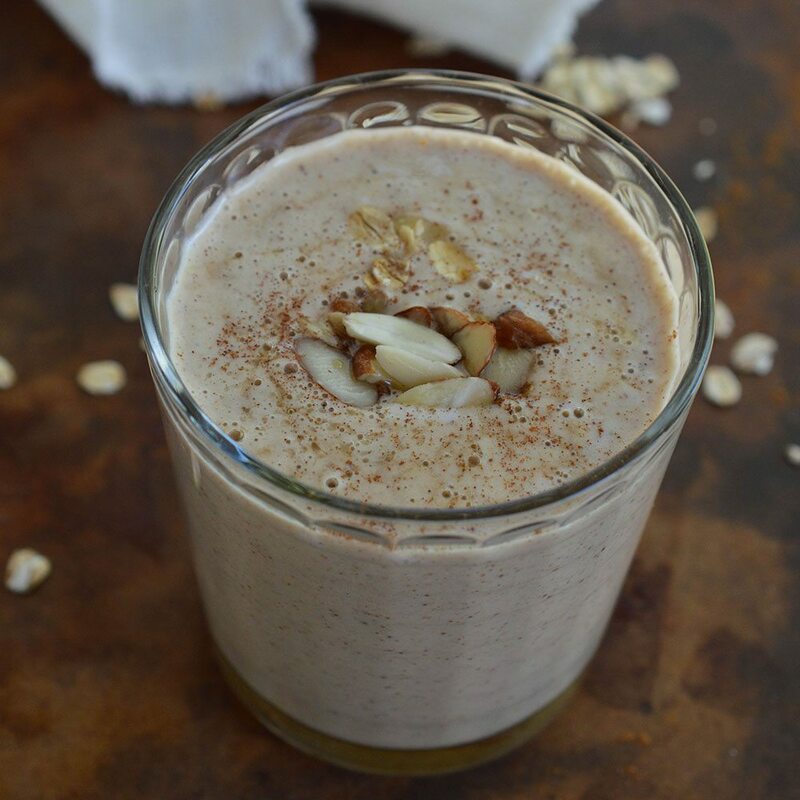 This Banana Bread Smoothie gets it’s protein and creaminess from silken tofu! If you are not the tofu type, no worries. Silken tofu has less flavor than Greek yogurt and it blends right into the smoothie. You won’t even notice it’s there . . . For Real! If you couldn’t care less about dairy free, go ahead and use Greek yogurt instead of tofu if you prefer. 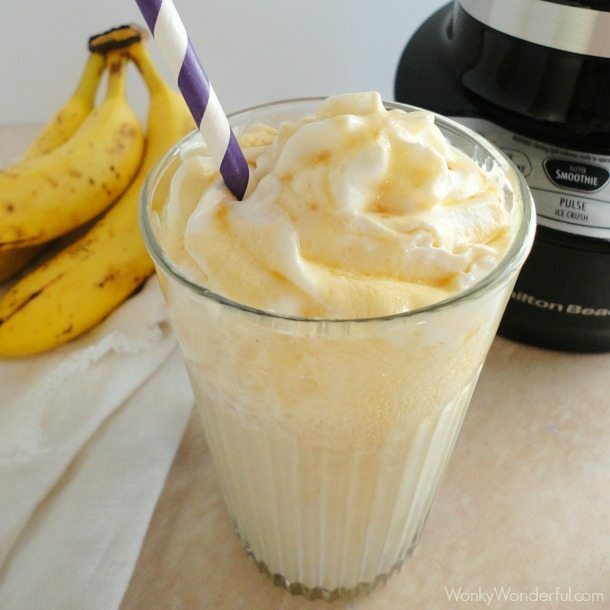 For this smoothie you want extra ripe bananas. The more brown speckles the better! So this is a great way to use up your over-ripe bananas. If you keep bananas in your freezer I’m sure those will work too. If you are using a standard blender, process until the smoothie is smooth and fully blended. Optional: Top with Non-Dairy Whipped Topping and an extra drizzle of Maple Syrup. 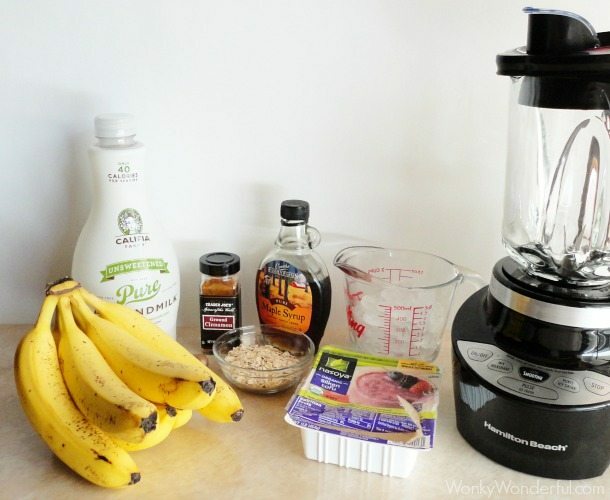 Makes 4 cups of Banana Bread Smoothie. Two winners will be chosen at random. The first winner will receive one Smoothie Smart Blender. The second winner will receive one Single Serve Blender. Please read the Terms & Conditions at the bottom of the rafflecopter form. This giveaway is open to US residents only. Good Luck! I have to admit, I’ve never tried silken tofu… but I’m going to trust you on this and am totally willing to try it 🙂 These blenders sound like the real deal! Truthfully, this is the first time I have used silken tofu in a recipe. It never really crossed my mind. Like other types of tofu, it doesn’t really have much taste. It is the consistency of yogurt/custard so I’m brainstorming healthy dip recipes made with silken tofu! Unless you like extra estrogen running through your body (which can cause tumors), I would avoid trying tofu. Any soy that has not been fermented is terrible for your health. Love giveaways but I’m an old geezer and don’t tweet! 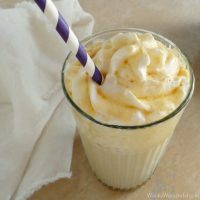 Just made this smoothy this morning and LOVED it! I never tried tofu in my smoothy (even though I was a vegetarian for 7 years) which is a shame because it is amazing. The oats help fill you up and the combination of banana, cinnamon and syrup is heaven. Thanks for the great healthy breakfast option! Thanks Michele! This is definitely one of my new favorite smoothies. And you’re right, it is really filling! 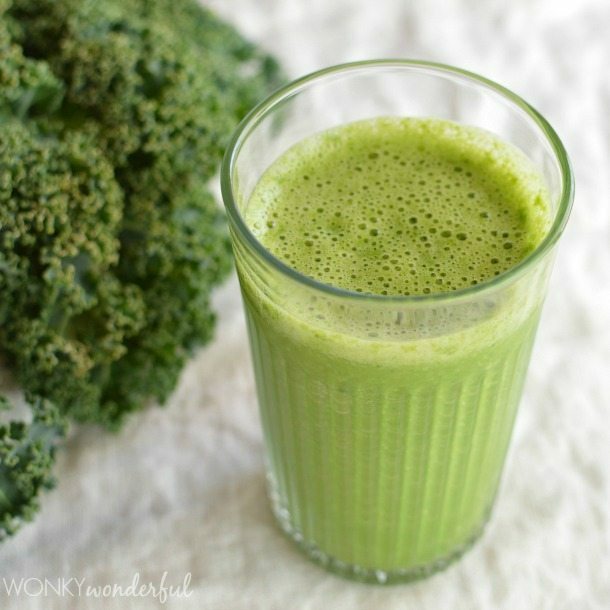 Oh I came in looking to enter the giveaway and LOVE the idea for this smoothie. I have been trying to make more smoothies for my kids but the cherry almond one I made yesterday was an epic fail. 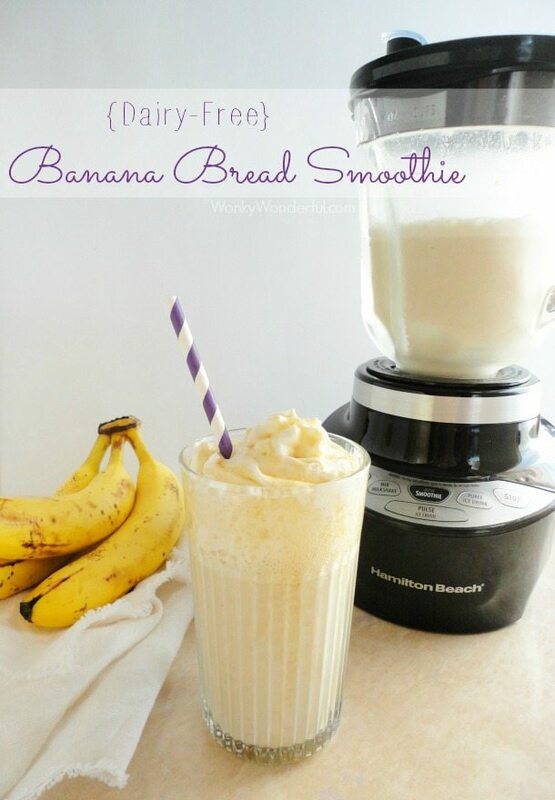 We all love bananas so this sounds perfect! How much Greek yogurt would you use? Thanks for the chance to win!! lol, Cherry Almond sounds good! If you use Greek yogurt instead of the silken tofu, just swap it out equally. So 1/2 cup Greek yogurt. Thanks, I hope you and your kiddos enjoy! I love this and my daughter even more as she needs dairy free – thank you for the submission and please continue to submit! We just purchased YG about a month ago and we have so many plans!